So in my brief life, I have watched a various amount of films, which have included a bunch of classics (mostly musicals), millennial family-films (which hold cringe and toilet humor), and some from one of my favorite genre, the grand epic adventure movies. The size and escapade of them were a big childhood awe to me, and in many ways, still are. But then one gloomy day, roughly about two months ago, I decided to take a break from surfing the Internet out of boredom and watch a classic for a change. 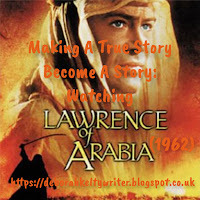 That classic was 1962's Lawrence of Arabia. Three hours and thirty-six minutes later, you could say I was pretty much blown away by what I'd just seen. Libraries are the cornerstone to the creative world, the places where vital, important information is placed for all to see and find. But their most iconic symbol we think of about libraries is, of course, books! As someone who's been in and out of them many times as well as even volunteering at one, I think an insight into each shelf will come in handy for a newbie writer who's looking for a book to read and learn from as a form of research. Here we first look at the resourceful kind. Think of the "For Dummies" series, language learning, or even just a guide on learning how to paint or cooking the right kind of dessert. These are not always the most noticeable ones, and aren't perhaps taken off the shelf by readers as often as fiction. But that isn't to say you might find some handy advice or knowledge that might lead you somewhere. Maybe even a book on writing, perhaps. 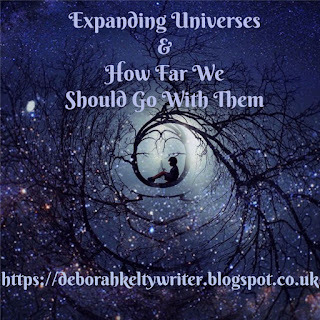 Expanded universes have become a huge part of our recent modern culture, especially the commonly known cinematic universe. And they are EVERYWHERE, in the form of books, movies, tv shows, video games, comics, toys, costumes, wigs, logos, makeup, and thousands of others that shall remain unnamed. 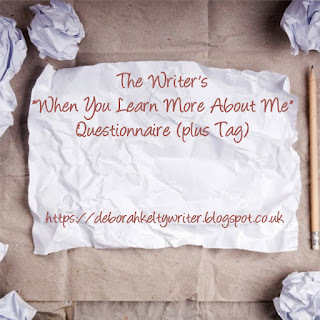 Q1: What was the first story you remember writing? Hey all, thanks for following my blog are reading my posts. I hope you're really enjoying them. Usually on the first Wednesday of every month I do a Duo Posts day, which involves me doing two posts instead of one. Unfortunately, for this particular Wednesday, I am unable to do a second post. So for those out there who were expecting one, I'm really sorry about that. Today is the start of November, and oh boy, does it already bring you in fast! For one thing, I began writing my novel for NaNoWriMo along with many others, pretty much blind-folded with unfortunately not a lot of planning and probably getting mad at myself for it later. And of course, furthering the countdown to to of my long-awaited released pieces of entertainment; that being the final of The Rebel of the Sands book trilogy known as Hero at the Fall. And of course, the freaking Star Wars Episode VIII everyone's asking questions and freaking on about! With myself being one of them. But whether you are doing a big event like this for your writing or not, and maybe just simply resting by your cozy fireplace wrapped up in your warm blanket waiting for ideas, I think it'll be good for newbies to get a rough idea of the journey, if you will, of what happens or what to expect when you begin a novel. Or in this case, a map. So let's jump right in then, shall we?